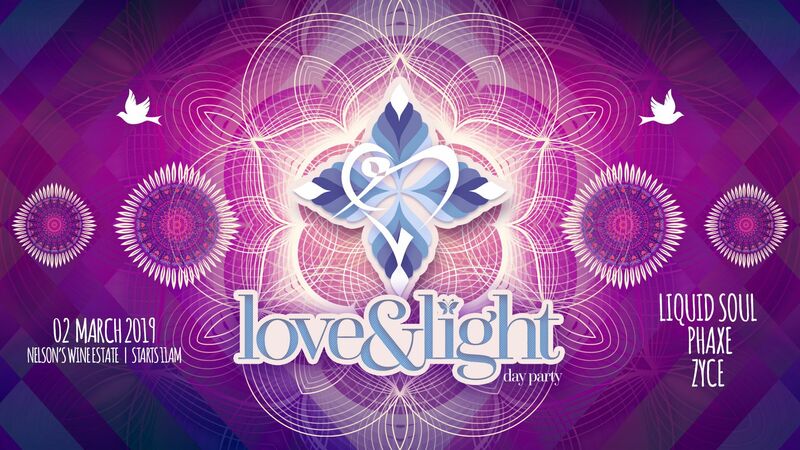 Love & Light returns to Nelson Wine Estate for our second edition of your favourite Day Party on the Cape Town psy trance calendar for the summer. Our March event features three fantastic International headliners, along with the best local progressive psy trance acts, that promise to take you on a mystical, music journey you won't forget! On Saturday 2 March 2019 the picturesque Nelson Wine Estate will play host to yet another magical event, kicking off at 11am, and running right through until midnight. Get ready for 13 hours of mind-blowing music at one of South Africa's most amazing venues. Our three International headline acts include the likes of Liquid Soul, Phaxe returning to the stomping ground where there have performed before, along with Zyce! Our team will be creating a beautiful space for all of our Love & Light friends and family to come together in the mutual love for music, adventure and expression. We cannot wait to go on this magical journey with you.